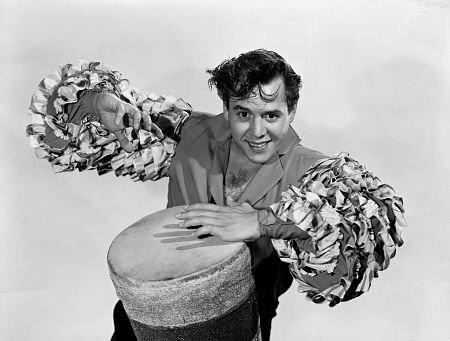 I read an interesting bit of trivia here about how Ricky Ricardo’s most famous song is about an African god. I never got into I Love Lucy, but I definitely thought this was something worth researching further. He’s also frequently shown as being accompanied by dogs that lick his sores. The main disease traditionally associated with Babalu-Aye is smallpox, but as that’s become much less common he’s branched out into AIDS and influenza. Yoruba religion spread to Cuba during the slave trade, and was a major influence on Santeria. Like Haitian Voodoo, Santeria mixes traditional African religion with Catholicism, the latter likely thrown in to appease the European rulers. 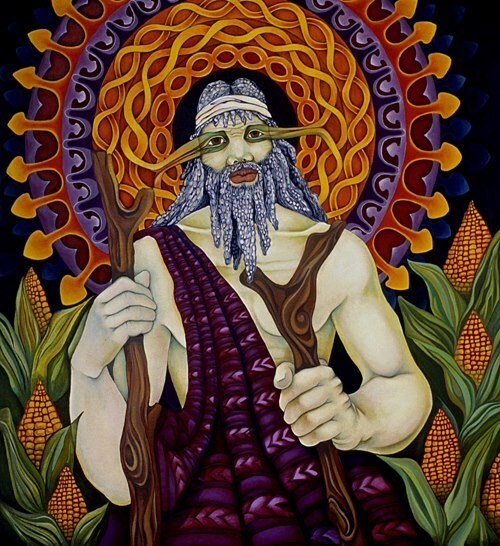 Santeria associates Babalu-Aye with Lazarus, the guy Jesus brought back from the dead. The combined figure is celebrated in Cuba on 17 December, which makes this post a little more timely than I had originally thought. I believe I first became aware of Santeria when I took a law class in college and researched a 1993 case dealing with their practice of animal sacrifice. The institution that sued the government was the Church of Lukumi Babalu Aye. So how does this relate to Desi Arnaz? Well, he was born in Cuba, and his family apparently practiced Santeria. The song “Babalu” was a popular Cuban standard written by composer Margarita Lecuona. While first recorded in 1941, it’s known to have dated back to the thirties. The lyrics refer to a ritual to the god, and a call for his favor and protection. Isn’t it interesting how these things become incorporated into popular culture, often without the general public knowing their origins? It goes even further, actually, as Quick Draw McGraw’s sidekick Baba Looey was apparently named after the song, even though he’s Mexican instead of Cuban. This entry was posted in African, Carribean, Cartoons, Catholicism, Celebrities, Christianity, Holidays, Music, Mythology, Religion, Santeria, Television and tagged baba looey, babalu, babalu-aye, cuba, desi arnaz, i love lucy, margarita lecuona, quick draw mcgraw, ricky ricardo, yoruba. Bookmark the permalink. That’s wild, I had no idea!